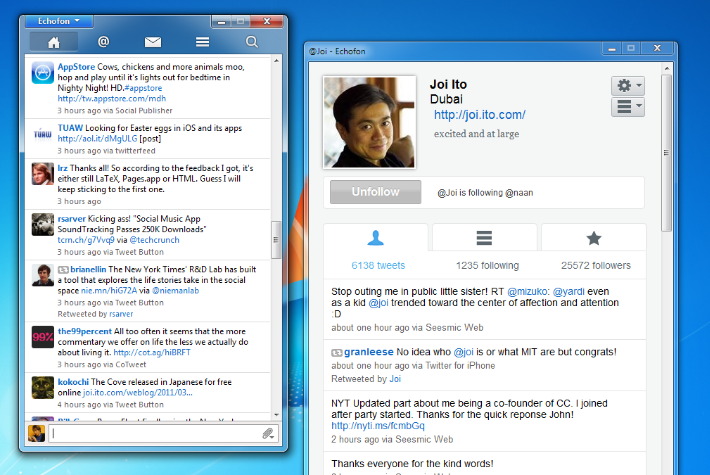 Echofon is the clean Twitter app that syncs with your iPhone. Use all of your Twitter accounts in Echofon, account switching is easy and youâ? ?ll see a subtle notification for mentions and messages you recieve in background accounts. Full search support including trends and saved search. Enjoy photo previews right in your timeline, and a pop-up photo viewer.